The University of Birmingham Indoor Sports & Fitness Centre wins RIBA West Midland Award 2018 for 'Client of the Year'. RLF provided Cost management services for this project. The facilities include a 50 metre swimming pool, an arena sports hall with seating for up to 900 spectators, six squash courts, six activity rooms for a wide range of sport and fitness classes and a 225 station gym. 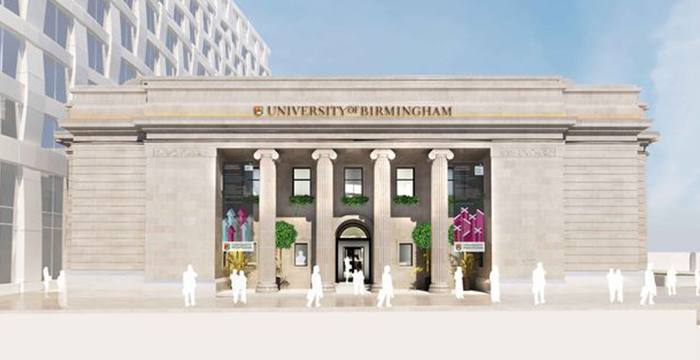 These are the first striking images of how Birmingham's historic Municipal Bank will be transformed into an exhibition hall for the University of Birmingham. The university bought the derelict grade II-listed building in 2016 with a view to creating a city centre venue to showcase its work and research to the wider public. 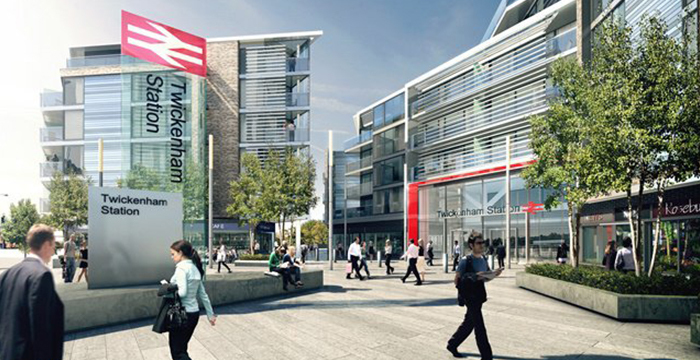 Twickenham Station has achieved an important milestone with the completion of the podium deck, see the flyover of the development so far in the video below. RLF have been providing Cost Management services for Solum Regeneration LLP (Twickenham) on the multi-million pound mixed use development. 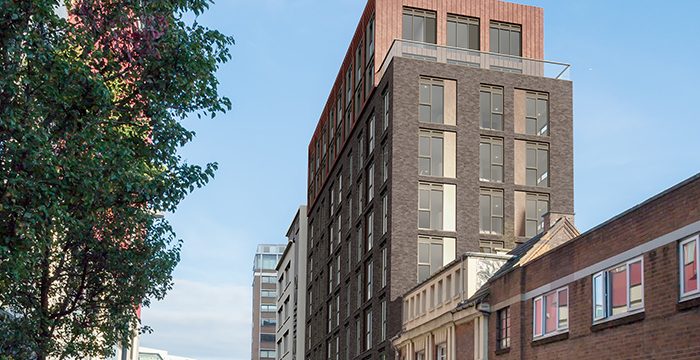 A total of 30 apartments in a building up to ten-storeys high could be constructed in Birmingham city centre after the plans were recommended for approval. The Severn Street scheme will include a commercial unit on the ground floor for offices or retail use.